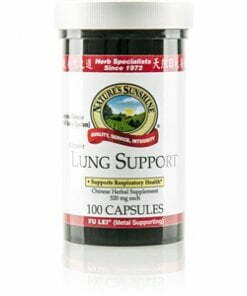 Nature’s Sunshine Lung Support, Chinese, combines 16 herbs used in traditional Chinese medicine to nourish a weakened metal constitution. 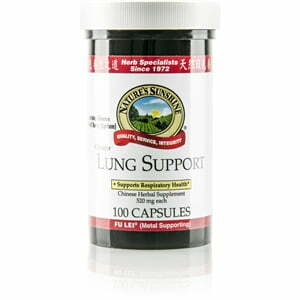 Known as fu lei in Chinese or to “strengthen the weak and thin,” Lung Support acts as a lung tonic. It strengthens the immune system, boosts energy, and nourishes the respiratory system. It includes anemarrhena, aster, bupleurm, and astragalus.